Today was a long one, but interesting too. Struan and I set off early for the top of the Stinchar to follow up on earlier work and with a few questions we wanted to answer. The weather was closing in as we headed down the road and the sky became darker and darker. We expected a soaking but somehow managed all day, to avoid getting too wet. Blue skies for a brief moment in the mist. It began raining again soon. Summer has long gone. 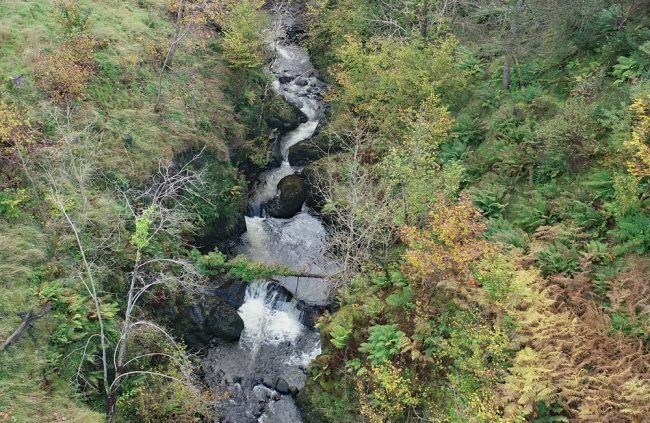 First we fished the lower Balloch Burn and processed a reasonably good catch before heading to the felled forestry section with the drone to have a look at the waterfalls and timber blockages. 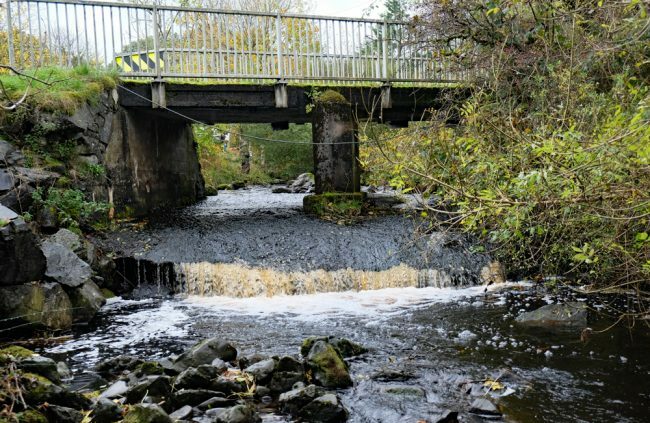 Nothing in its own right is impassable but the cumulative impact of many cascades and falls would prevent all but the most determined salmon reaching the excellent spawning habitat upstream. 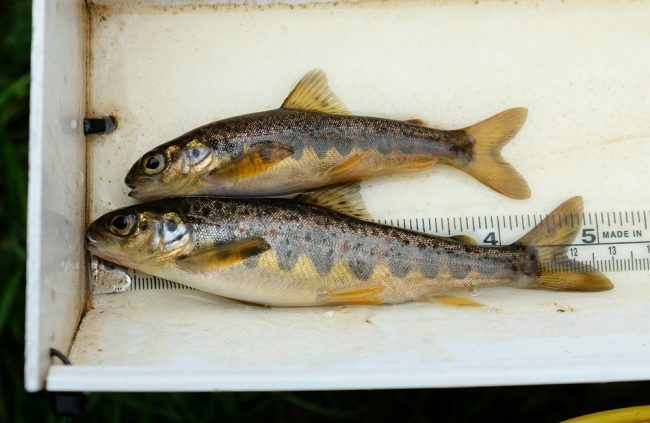 Sea trout may manage too. Just some of the cascades and falls upstream of Pinvalley. 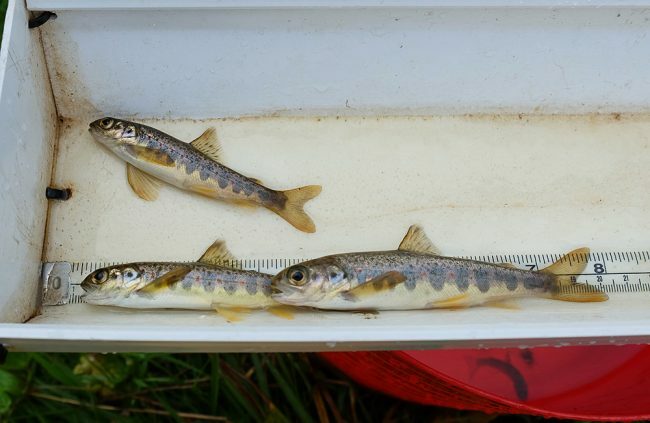 With the weather closing in, we headed onto the Pinmullan and was pleased to find both salmon and a good number of trout. This burn was dug out a few years ago but has fully recovered although it would benefit from more cover. The Board helped with fencing but there’s still evidence that cattle are allowed access. We chased a calve out and re erected a water gate that had collapsed. This burn could do with trees planted to help shade the burn and provide more cover. Excluding the livestock entirely would improve bank-side vegetation. On we went to Docherneil, a trib of the Muck on the Duisk. 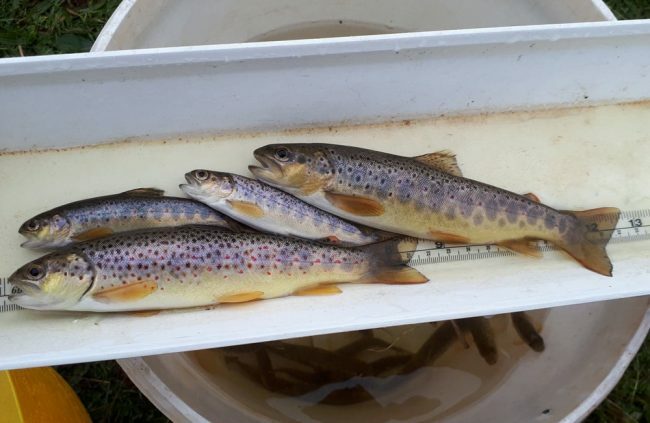 We found trout and salmon below a bridge apron and just a reduced number of trout above; confirming the need for easement. We had a long chat with the farmer that confirmed the bridge apron was an end of salmon and sea trout making it beyond the farm. 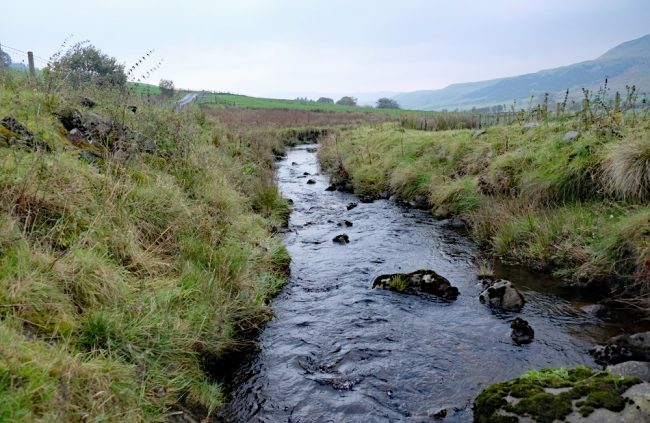 He recalled a day when after lifting turnips, he had been washing his boots and waterproofs in the burn and salmon were swimming past his feet….that was many years ago. He also told of sea trout in every small ditch and burn at the back end of the year…oh how times have changed. Further up the Muck, we fished our usual site and found a few salmon of 3 year classes. 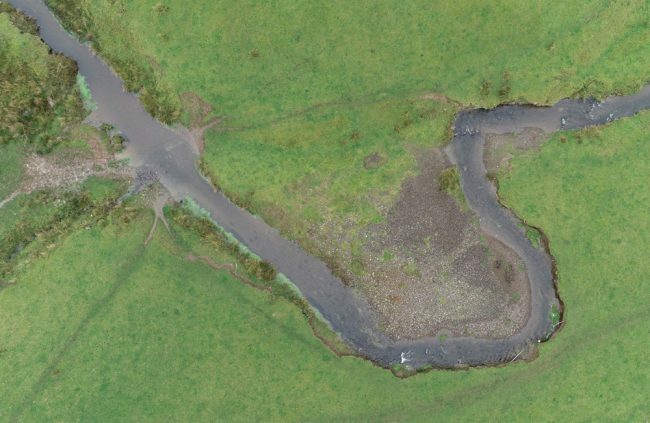 We flew the drone between showers just to see the habitat in areas we can’t easily access. Lot’s to see today and rapidly running out of time for surveys. We finished the day on the Assel where we have concerns about severe erosion driven by livestock access and the impact this is having on spawning. Trout numbers were excellent but salmon could be far better….another plan required and with some urgency, I think. This will be discussed with the DSFB at the next meeting. 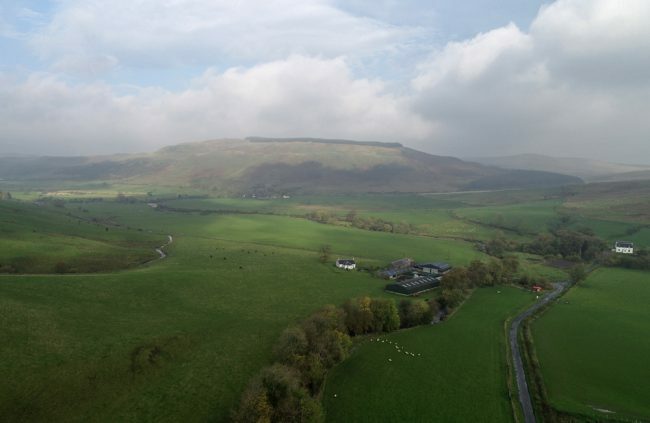 We completed more sites than I hoped for today but with weather forecasts looking terrible for the weekend, I doubt we will have many more opportunities to do more surveys this season. What we have done is what we planned to do but as ever, there’s much more we could do if we had more time and staff available.